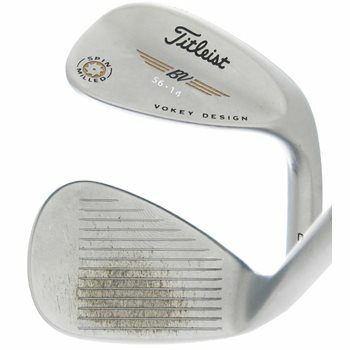 The Titleist Vokey Spin Milled Chrome C-C wedge features all of the same incredible playing characteristics as the traditional Vokey Spin Milled wedges, but institutes the 2010 USGA and R&A conforming groove configuration. The Spin Milled Condition of Competition (C-C) grooves produce a higher trajectory with medium spin. picture is of a 56 deg wedge, listing says 58 - what is actual? what is bounce? All of our photos are stock photos as is stated underneath the photo. What is described and listed is the 58 degree. The bounce of the 58 degree is 8 degrees.